It's been a long time since I felt comfortable diving into a series, one right after another, and foregoing all other new releases. As a blogger, you tend to feel that if you don't regularly change it up, you'll disengage your audience and lose readership. This year, however, has been a fairly complacent year of posting new reviews anyway and my "short" sabbatical was unintentionally extended for much longer. My last post was almost a month ago. And yet I feel so much better. I am enjoying this relaxed approach and while I realize readership might be declining, I'm comfortable with it. This roller coaster year has given me more than I anticipated, so taking the time to just enjoy the pleasures of reading, listening to audios, and posting whenever I want to, has been a thrill. So I decided to finally dive into The Talented Mr. Ripley series by Patricia Highsmith (also referred to as the "Ripliad"). And it was incredible. Which then motivated me to listen to the second and the third in the series as well. There are two more remaining to complete the series, so I'll get to that later this summer. If you haven't watched the beautiful 1998 film version starring Matt Damon, Gwyneth Paltrow, and Jude Law, you really must pick it up. I'd advise you to read the book first, of course, and if you're really feeling cheeky, you might as well try the audiobook. 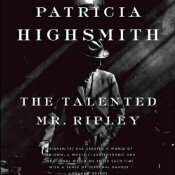 The first in Highsmith's disturbing psychological series introduces us to Tom Ripley, who really is a loner struggling to find his place in life, and quite an up-and-coming con artist in training. When he is recruited by the father of Dickie Greenleaf to find Dickie lounging in his nonchalant and casual life in Italy spending his father's money, Tom accepts immediately. It's only when Tom meets Dickie and Marge that he realizes the life Dickie has is the one he wants. What follows is a dark and disturbing foray into Tom's world as he manipulates, cajoles, fools, and even kills, in order to get everything he's ever wanted. This was my favorite of the first three I listened to. Kevin Kenerly was pristine in the role of narrator, his voice clean and eerily distinct. It was my first time listening to him, and I've become a big fan. Not really my favorite, but still silkily delivered by Kevin Kenerly, which therefore kept me completely tuned in. In this Ripley installment, it's been several years since the Dickie Greenleaf events. Now living in France, Tom has several entrepreneurial investments going on to keep him and his wife well off in the French countryside. Although still occasionally haunted by Dickie which sometimes ruins Tom's credibility, Tom remains successful. His current project of interest is the Buckmaster Gallery which houses several famous Derwatt paintings. When an American questions the authenticity of one Derwatt, Tom decides he must keep up appearances for the gallery and convince the American that the Derwatt painting is real. As Tom gets caught up in his own acts, one wonders if this time he really will get caught. Written almost fifteen years after the first installment, Ripley Underground was interesting, but I think it fell a little flat compared to the disturbing nature of the first. I didn't have a hard time going through this at all, though, partly because of the short audio time, but mostly because the narrator was just fantastic. Ahhh, now we get back to good ole Tom being completely off his rocker, even though he's really not. Which is probably what is the scariest about it all. Tom is clearly unstable, but it is because he is so incredibly "normal" in his approach, and his ability to know people so intuitively, that he can manipulate every moment to his desired result. He is a brilliant sociopath. In this third story, the title truly fits. This one really is a game. Tom, now in his late thirties, early forties, has established his reputation as a problem-solver. He is approached by a businessman he's worked with before to murder a member of the Mafia hurting his business. Tom, however, really doesn't like murder and only uses it if it is the last possible resort, so he simply turns it down. After thinking about it, Tom instead decides to offer a replacement to commit the murder. At a recent party, he had been mildly insulted by Jonathan, a local picture-framer, and felt that Jonathan's terminal cancer would be something Tom could manipulate to get him to agree to commit the murder. What follows is a story filled with more psychological and sociological disturbances, told from both Tom's and Jonathan's perspectives. This switch between perspectives is new for the series, but oh, boy, was it brilliant. 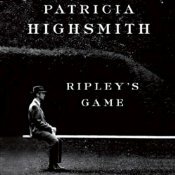 I highly recommend the Ripley series from Patricia Highsmith, and of course Kevin Kenerly was outstanding in the role of narrator. I've got the next in my Audible.com wish list and I can't wait to start. I think the beauty of Patricia Highsmith's work is that it is so straight-forward in its disturbing psychological process playing out for each character, scene, triumph, and failure. It is oddly engaging, charming, humorous, yet deeply dark and frightening. I think I'd love to have dinner with Patricia Highsmith and Daphne du Maurier. Well, at least be a fly on a wall? I might be too scared to lower my guard around those two freaky writers. 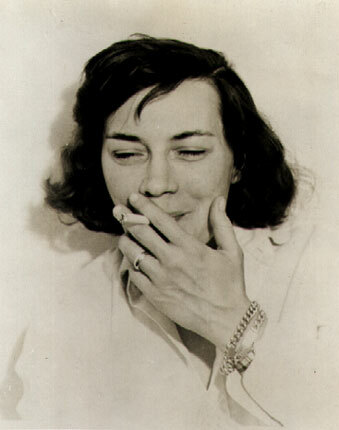 Patricia Highsmith was born in 1921 and passed in 1995. She was an American novelist, and was known for several acclaimed novels and film adaptations, including her first novel Strangers on a Train, which many may know because of Alfred Hitchcock's film version. 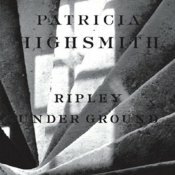 Her novels also include the Ripliad series (Tom Ripley), The Price of Salt, The Two Faces of January, and more. For a full list of her work, please click here. Sounds like an excellent series! I agree with the above commenter - this series sounds most excellent! And I can't believe I've never watched the movie. I also totally understand the feeling of needing to read new(er) books more often than not, except sometimes, I just want to catch up and read all those really great sounding - now considered old - books that I never got around to. But as a blog reader, I actually like reading reviews on older book a lot of the time - because there are so many great books out there that we easily forget about. And often I can't keep up with all the new books coming out anyway. You got my attention when you mentioned that it was narrated by Kenerly. He narrated Crooked Letter, Crooked Letter and he was amazing. I saw the movie back when it first came out and it was so good. I REALLY need to make this my next project. I have not read this series but it looks good! I can see how these books would be well suited to the audio format! I've only read the first one. I don't remember if I've seen the movie, so will check it out!